Buds bridge is located on S.R. 241, between Wheatland Indiana and Monroe City Indiana. It is a self supporting, slab top designed bridge that replaced a Warren type pony truss bridge. 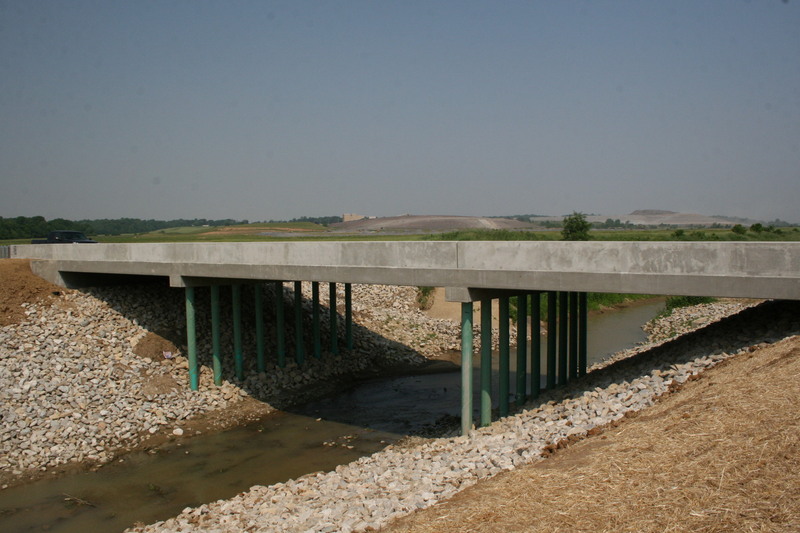 After talking with Sam Sarvis, who was the District Director of INDOT in the Vincennes District at the time, he convinced Representative, Troy Woodruff, to introduce a bill, dedicating the bridge to Bud. Noting Bud’s lifelong influence on Indiana bridges, especially his dedication to local bridges and roads in Knox County, the Indiana Legislature passed a bill dedicating the bridge to Bud. Below is a map of where to find Bud’s Bridge.